A freshmen-only contest, the Ceremony CDE introduces new FFA members to the proper procedures for conducting an official FFA meeting and for displaying proper parliamentary procedure. Freshmen FFA members will role play as FFA Officers, conduct the opening ceremony, complete a parliamentary procedure exercise, and conduct the closing ceremony. The contest is a great way for any freshman to begin involvement in the FFA. The Ceremony CDE has 3 levels: district, regional, and state. Top 2 district winners compete in the regional. Top 2 regional winners compete in the state. Currently, there is no national contest. The district CDE is held in November. The regional CDE is held in December. 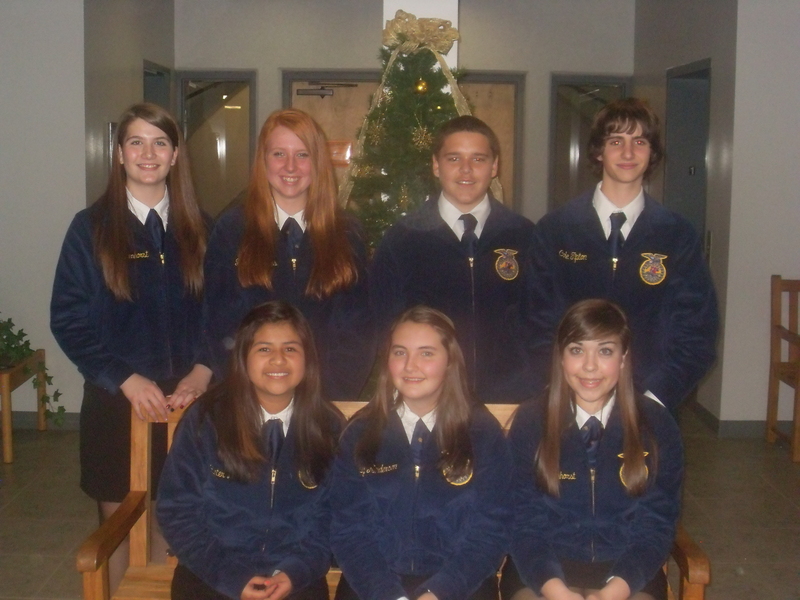 The state CDE is held at State FFA Convention in March. 2015/16 - 1st place, District. Team members: Aisling Hagan, Sarah Sanborn, Ashleigh Rider, Taylor Campbell, Madajah Manning, Abi Cowden, and Josh Dulaney. 2013 - 4th place, District. Team members: Bre Lawson, Llyli Bacon, Zack Hamrick, Alyssa Hulse, Sam Shell, Whitney Burgner, and Jessica Thompson. 2012- 2nd place, District. 3rd place, Regional. Team Members: Makay Rowenhorst, Kayla Price, Paty Morales, Cole Tipton, Michaela Crain, Elise Lavoie, Ben Ford, and Kenzie Bastian.